The quirky little Minions from Despicable Me 2 can now decorate your walls! These fun wall stickers from the hit film are an easy way to delight Despicable Me fans. Removable and repositionable, these wall decals can be applied to any smooth, flat surface. To apply, peel each decal from the backing and place on your desired surface. Our decals will never damage your walls or leave behind any sticky residue, no matter how many times theyre repositioned. 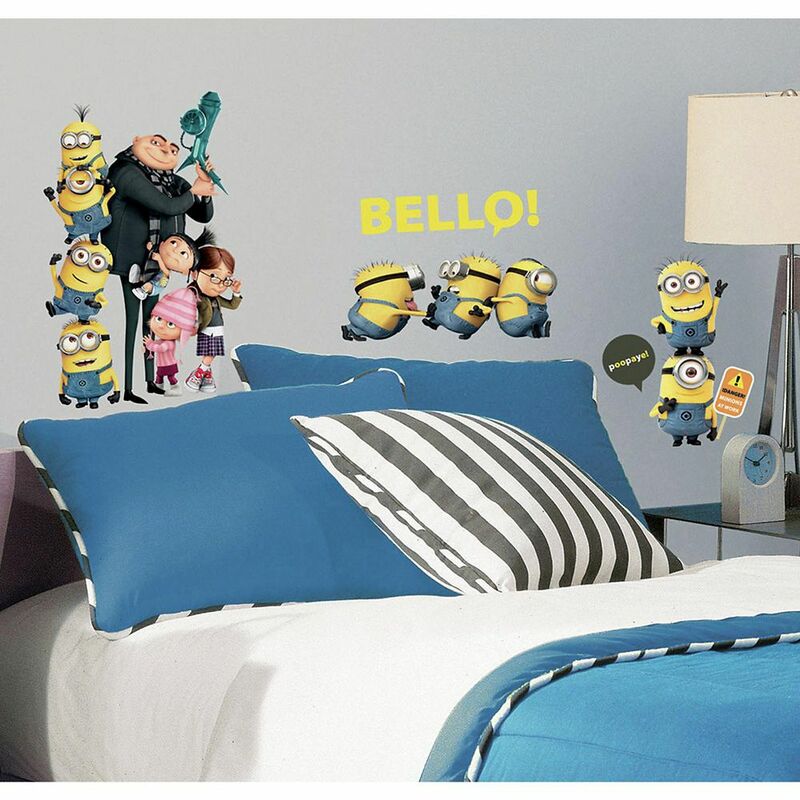 Despicable Me Wall Decal The quirky little Minions from Despicable Me 2 can now decorate your walls! These fun wall stickers from the hit film are an easy way to delight Despicable Me fans.